I woke up this morning to the sounds of “Ellen DeGeneres has announced that she is leaving AMERICAN IDOL…stating that she felt she wasn’t a good fit for the show” from my radio. Well, I can’t say that I didn’t see that coming: http://hollywoodjunket.com/2010/02/10/american-idol-judge-ellen-degeneres-other-singing-show-past/ She wasn’t quite prepared to stick around for “Don’t Forget the Lyrics” as well. 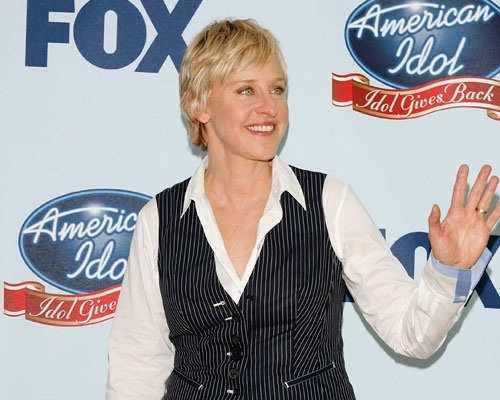 During her brief encounter with FOX executives during their pitch meeting before the show ever aired, DeGeneres was called-in to the room in hopes that she would sign-on as host. The result was, she bolted within the first ten minutes. Had she been called-in for a dance show, perhaps things would have been different. Singing and DeGeneres? I thought she was not a good fit as well.